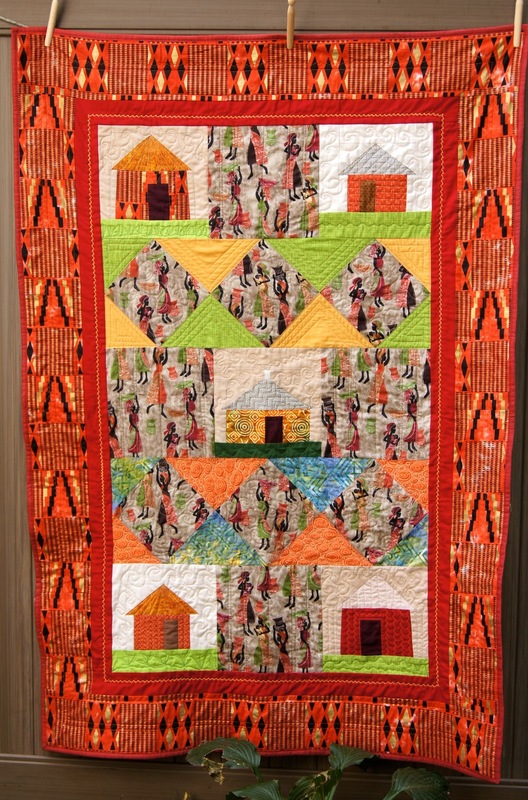 Here's my completed African Village Quilt. 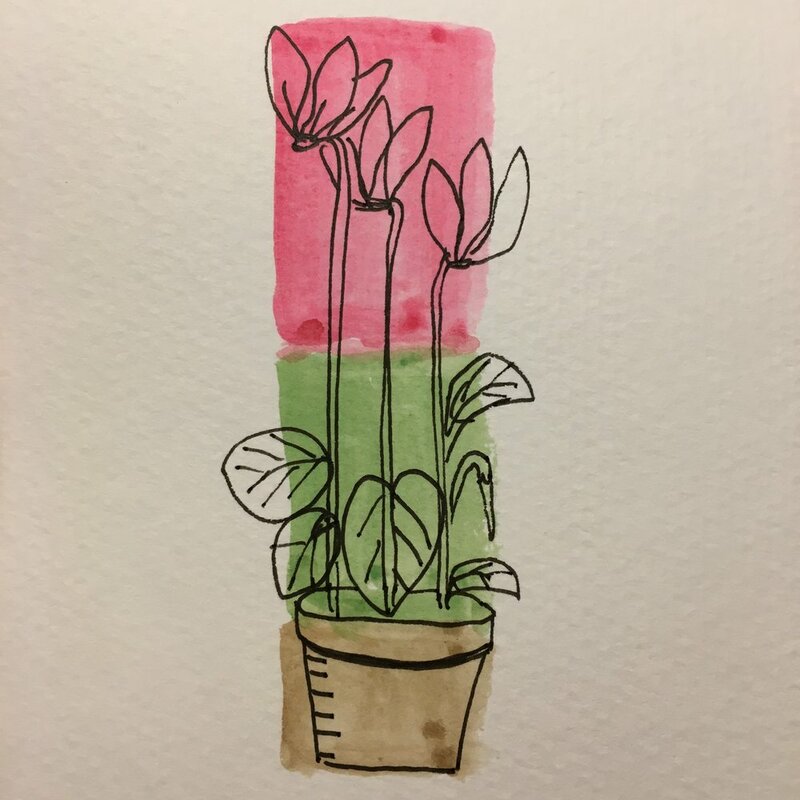 It measures 40 x 57 inches. 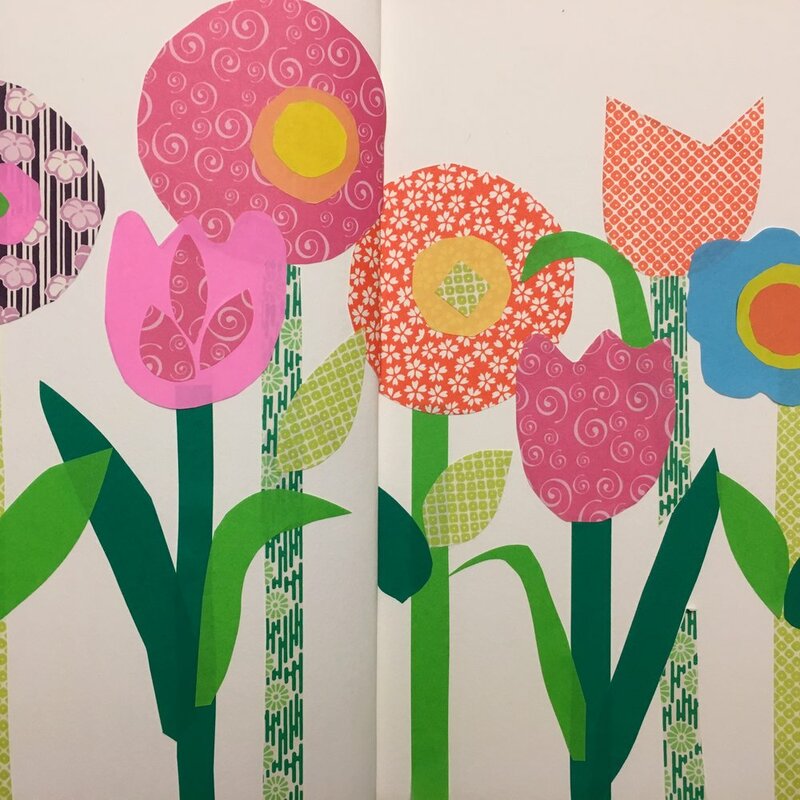 I recently took Jacquie Gering's Craftsy course, "Creative Quilting with your Walking Foot." 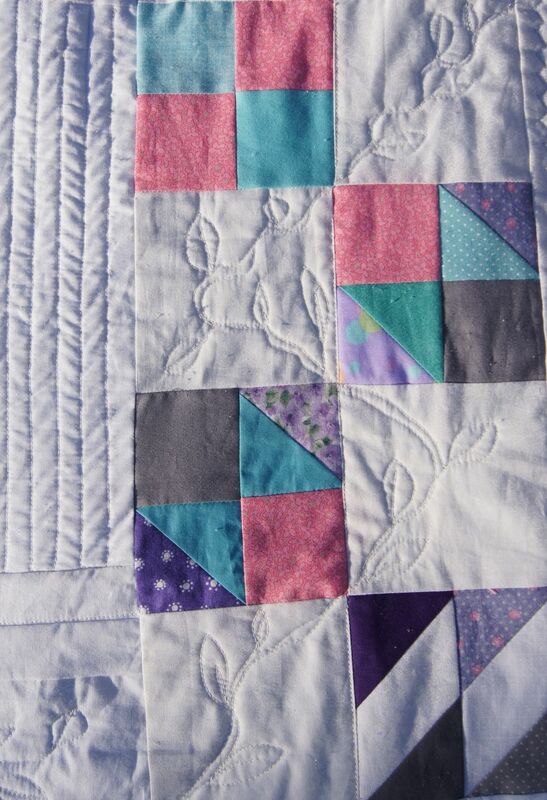 She had some great tips and suggestions about using the walking foot for quilting. I used echoing in, radiating designs and straight quilting using a variety of specialty stitches on my domestic sewing machine. It was lots of fun to use her techniques. The echoing in stitching is in the setting triangles in the upper strip of diamonds. 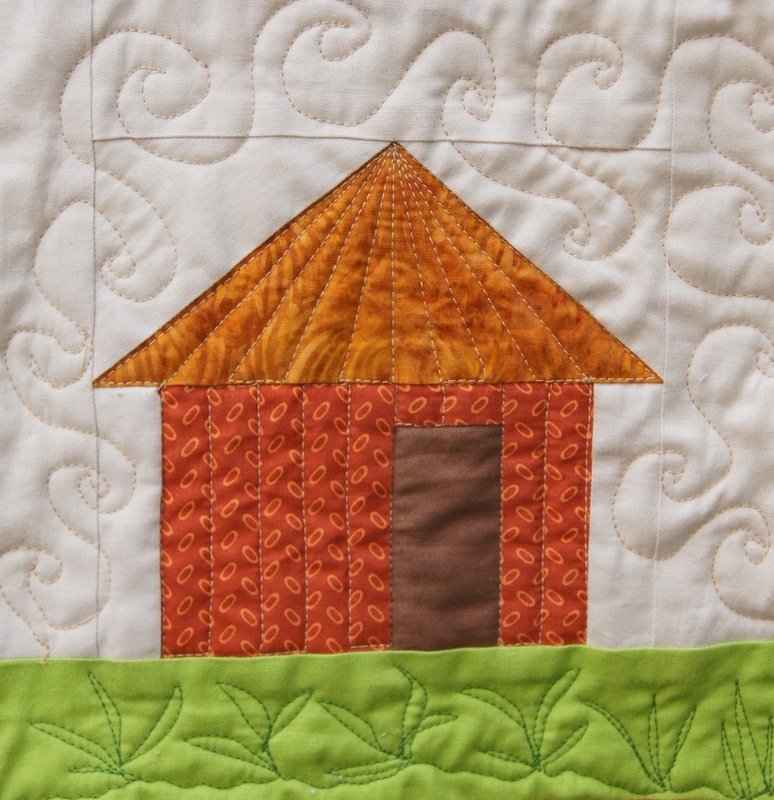 Here is a detail of radiating quilting on a roof. 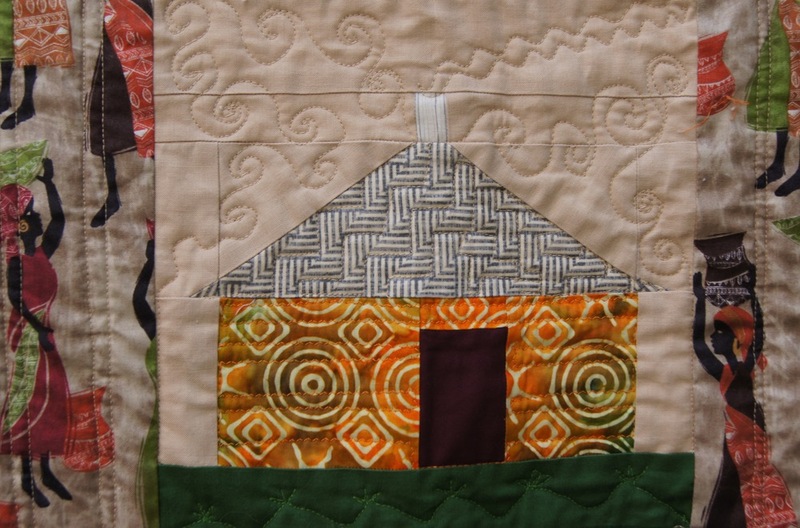 Radiating quilting done with walking foot on the hut roof, Free motion quilting used to create grasses and heat swirls. I used Jacquie's suggestion of using the Bernina specialty stitch #4, the serpentine stitch, to make the current in the river blocks. She said that this stitch is intended for use in garment construction making lingerie which needs to stretch! Doesn't it make a lovely river current? Bernina Stitch #4 to make the waves in the river blocks. Free motion quilting to make the stream pebbles and swirls around the women. I also used the serpentine stitch to make the smoke coming out of the chimney in the central hut. Central hut showing serpentine stitch for smoke. 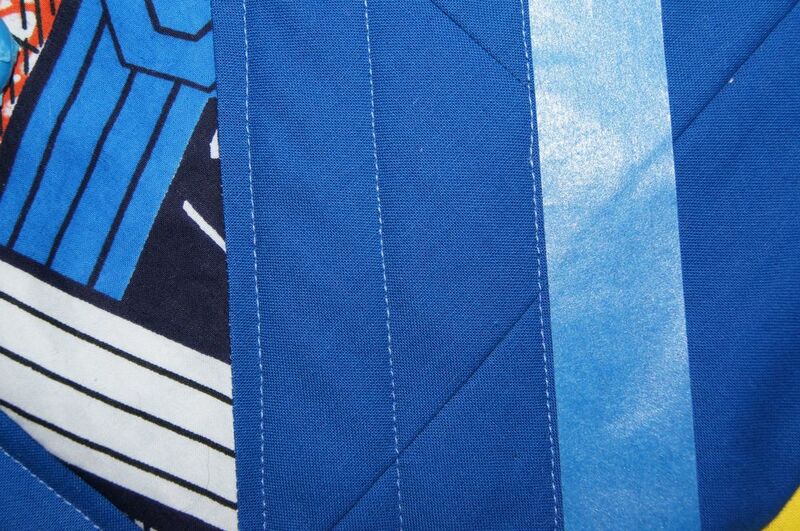 Also note the straight stitching done on the focus fabric blocks adjacent to the block and on the hut walls. 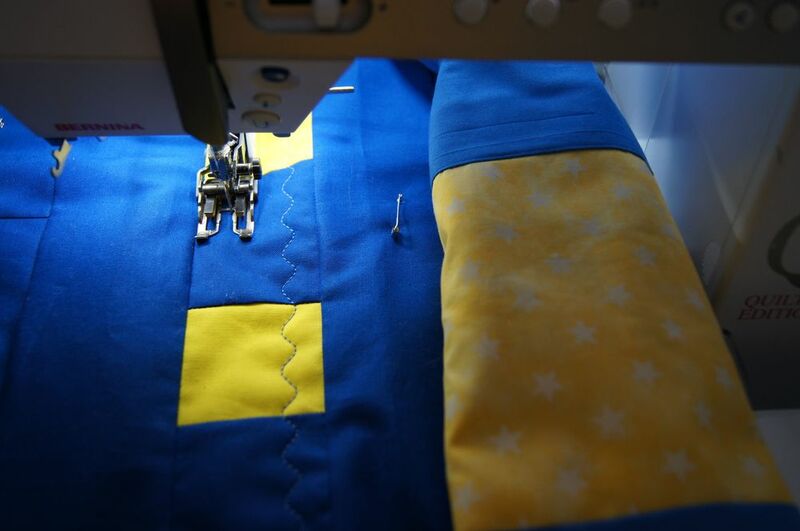 There are also lots of straight stitching using the walking foot throughout the quilting. 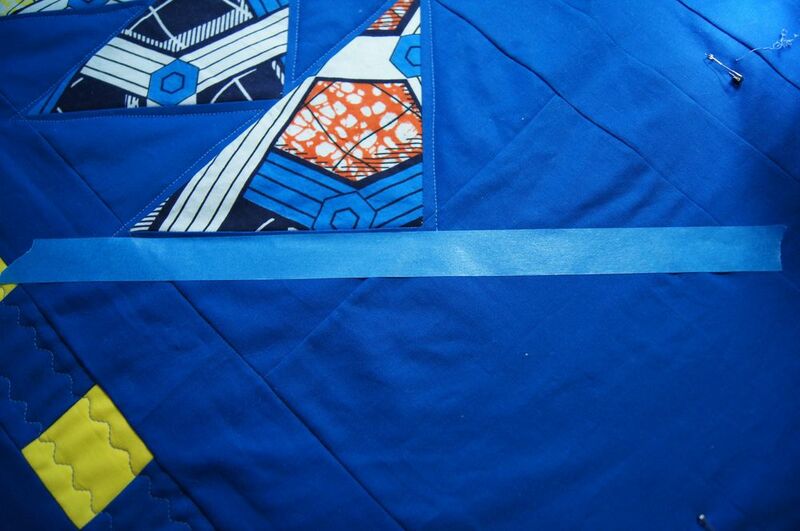 Straight stitching with the walking foot and 2 decorative stitches in the outer quilt border. 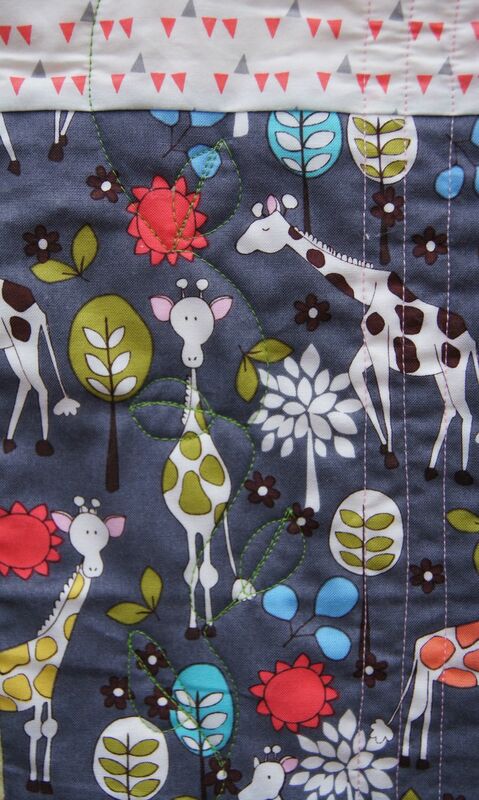 You'll also see free motion quilting on this quilt. I used it to make heat currents, pebbles and grasses and other vegetation. 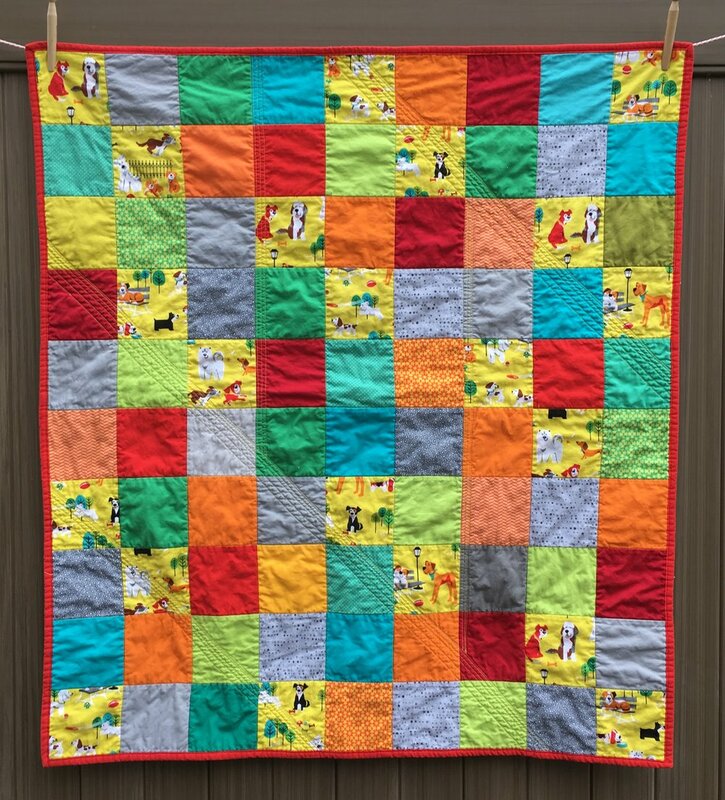 This quilt was a lot of fun to make and to quilt. 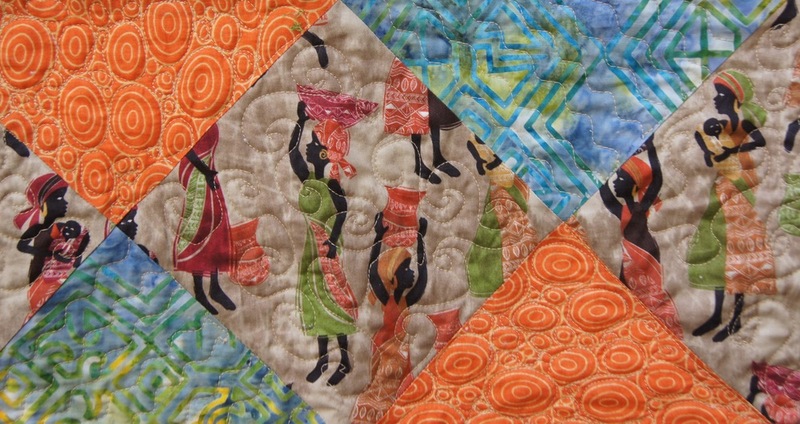 Here is a PDF pattern for the African Village Quilt. The pattern is for the diamond variation. 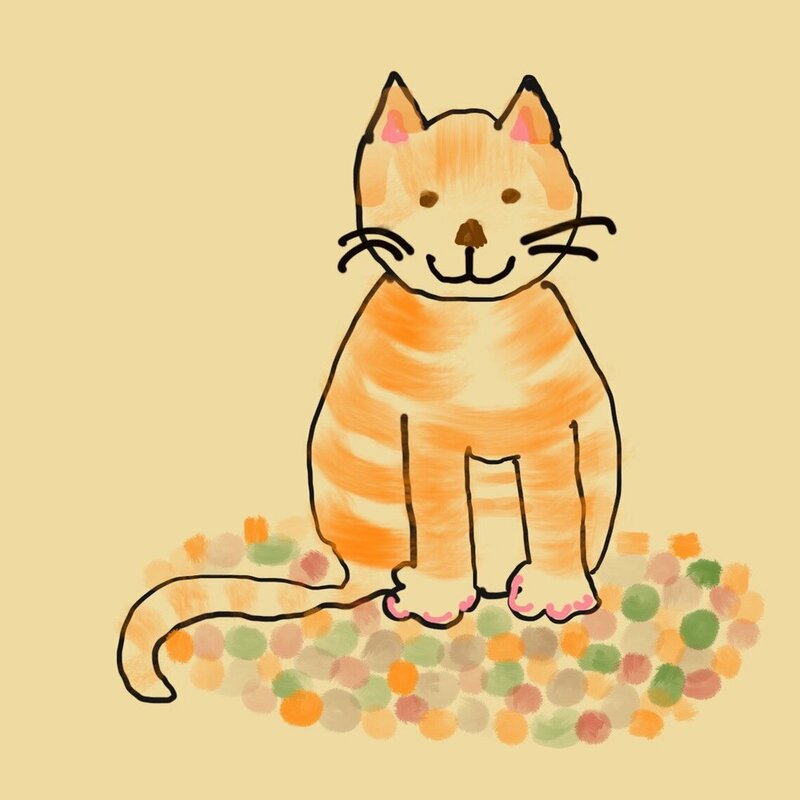 The instructions for the version I made are in my blog posts starting August 4, 2014. 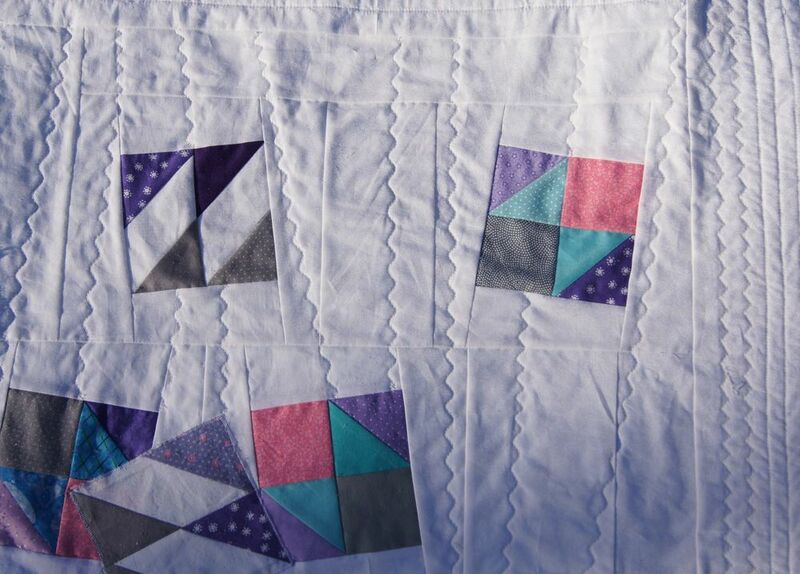 You may use the pattern to make a quilt for yourself but not for commercial sale. You are always welcome to use my patterns to make quilts for charities. While I was working on this quilt I often listened to the radio. The Ebola epidemic in West African has been constantly in the news and I thought about this virus and the people who were ill a lot while I was sewing. 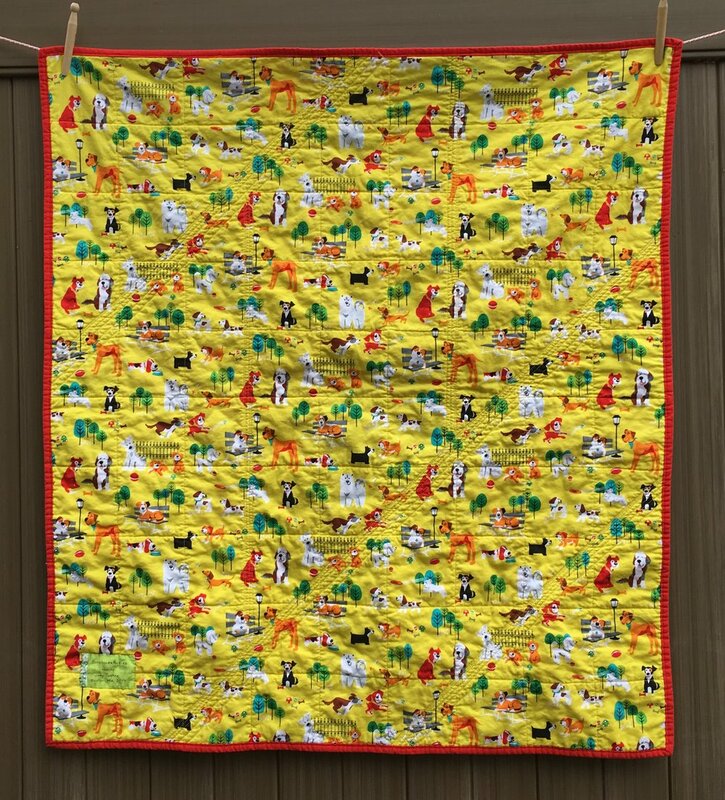 I think this quilt pattern would a good choice if you want to make a quilt to raise funds for research on the Ebola virus or to raise funds to care for the patients. 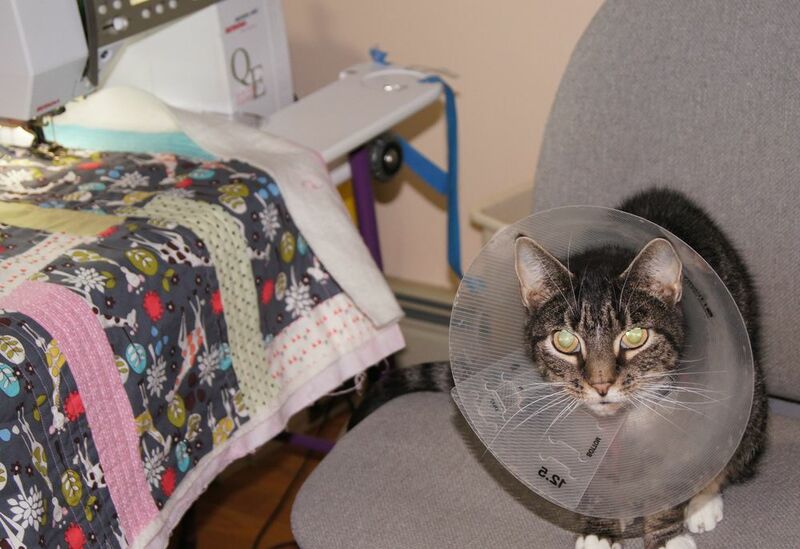 I know quilters often make quilts to comfort patients. However, because anything used by a patient infected with the Ebola virus needs to be destroyed to prevent spreading of the illness, making quilts for the patients doesn't make much sense in this case. But selling or raffling a quilt to raise funds is a great way to help. Here three charities actively reaching out in the countries affected by the Ebola Virus. There are also other humanitarian and research organizations involved. If you wish to donate, choose an organization to support that you like that and that has a solid reputation. Look on their websites for a report on their use of donation funds so you know how the money you donate will be used. Unicef More information about Unicef the Ebola crisis. Save the Children More information about their work in affected areas. Doctors without Borders Their link to news about Ebola. I heard on the news this morning that Doctors without Borders is working on making several new isolation wards in the affected countries in African. Their website states that their response to the Ebola outbreak is fully funded! Donations can't be earmarked for the Ebola crisis but funds will be used for medical humanitarian emergencies as needed. 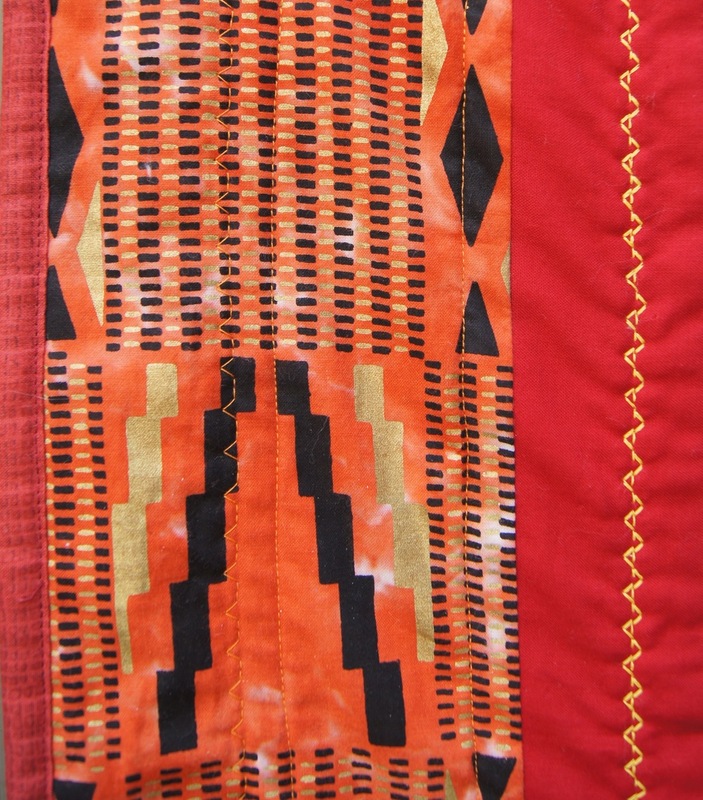 I sold my African Village quilt yesterday. 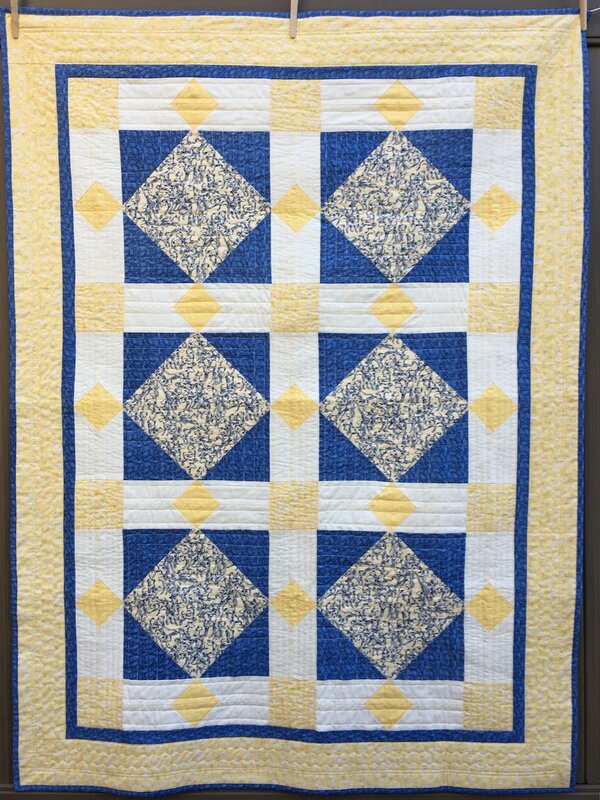 I valued my quilt at $200 and have donated the full value to Unicef which uses 91% of ever dollar to help children. I hope you'll consider joining me in supporting humanitarian efforts responding to this medical crisis. I hope you like this quilt! If you make one, for charity or for yourself, have fun sewing and let me know!